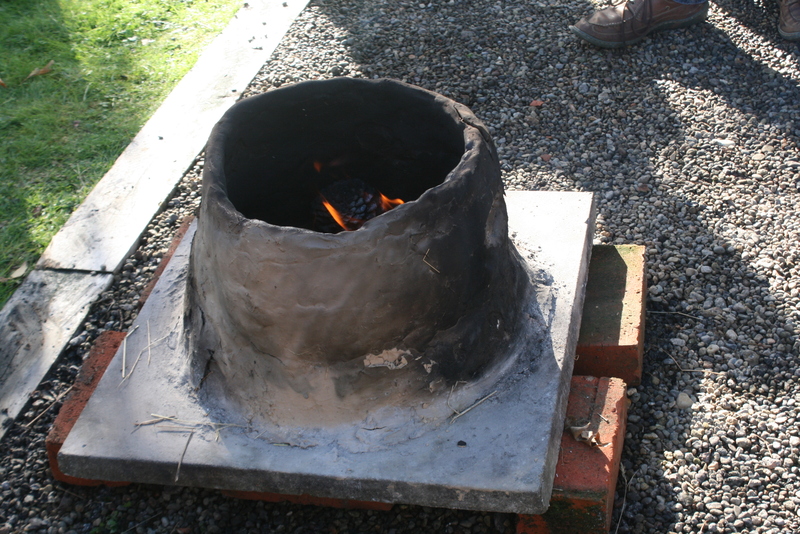 By now I get to build replicas of ancient tannur bread ovens quite frequently. After my previous attempts in Mississippi and Israel, I should be quite practiced with it. 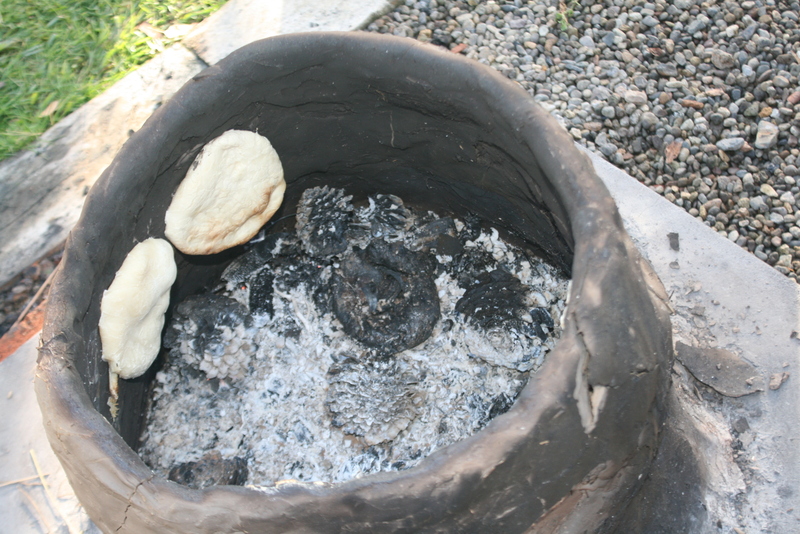 Nevertheless, I have to say that the tannur oven we built in Israel was probably the best one so far. The latest version was built for a study series at St. Andrew’s Anglican Church, Cambridge, Waikato (NZ). Cambridge sits on quite sandy soils and I therefore decided to buy commercial clay, but mixed it with some clay–containing soil from nearby hills, as well as some hay. Apoparently that wasn’t the best mixture, because bits came off the oven when I first fired it. Clear breaks also formed. Maybe the oven was not sufficiently dried in the cold New Zealand climate, even though we put it on a base to carry it in and out of the shed. Nevertheless, the baking went well. We probably started a bit too early, when the flames were still too high. 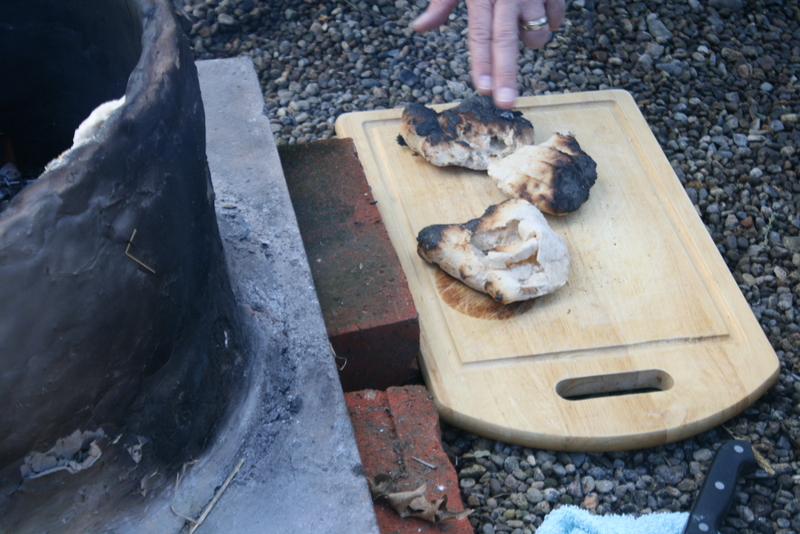 We also did not allow sufficient embers to accumulate for a long baking cycle. This rose well. But it baked quite uneven in the oven, possibly because I put it in very early and there were still some flames. 2. I also made some unleavened bread, just with flour, salt, water, and a bit of butter. This bread stuck really well to the oven sides. 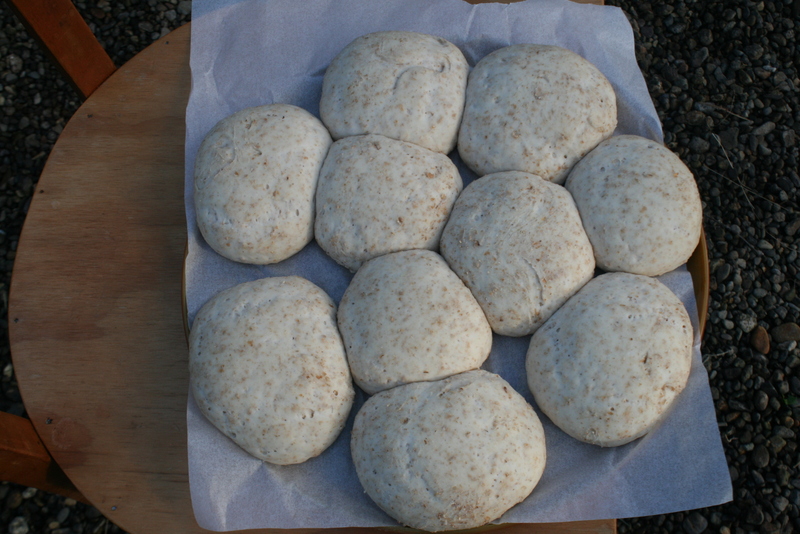 It also baked more evenly and on the day tasted quite nice, somewhat like crackers. It probably isn’t fresh for long. 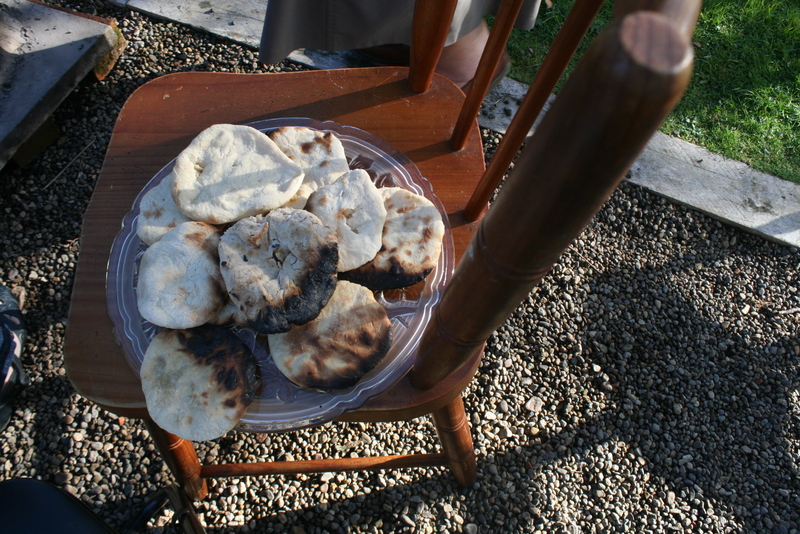 Nevertheless, nearly two days later we had the bread for communion in Church and it still tasted quite nice. I wonder how often I’ll bake that bread. This entry was posted in Church, Experimental Archaeology, Household Archaeology and tagged Ancient Israel, Ancient Judah, ethnography, Israel, New Zealand. Bookmark the permalink.